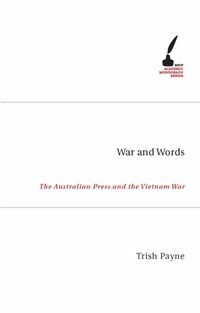 Dr Trish Payne is a lecturer in Political and International Political Communication at the University of Canberra. She is especially interested in communication to, from and within Parliament House Canberra, the Canberra Press Gallery and foreign and war reporting. She has published widely in these areas of interest, including, as Australian Parliamentary Fellow for 1997, The Canberra Press Gallery and the Backbench of the 38th Parliament 1996-98.